The Oilholic thinks there is certain poignancy about a street sign in the Dubai Marina area. The sign (pictured left) points to different directions for Abu Dhabi and Dubai city centre – while the macroeconomic direction for both Emirates is anything but following on from the 2008-09 domestic real estate crisis. As if with perfect metaphorical symmetry, the sign’s current backdrop is coloured by construction conglomerate EMAAR’s flags, the odd logo of another construction conglomerate Nakheel and ongoing building work; some of which is a little ‘behind schedule’ for good reason. In March this year, the UAE’s oil production came in at 2.7 million barrels per day (bpd) with attempts on track to increase it to 3 million bpd. Of this, Dubai’s production on a standalone basis has never accounted for more than 70,000 bpd at any given point excluding barrels of oil equivalent in offshore gas findings. It is Abu Dhabi that holds 95% of proven oil reserves in the UAE. With Dubai’s oil reserves set to be exhausted within a few decades bar the emergence of a significant find, a decision was taken in the late 1990s, by the powers that be, to diversify towards finance, tourism and manufacturing. The decision made sense but the approach was not sensible. By 2008, construction, real estate, trade and finance and not oil & gas had become the biggest contributors to Dubai’s economy. Dubai was to be the go to capital market of the Middle East, so ran the spiel. 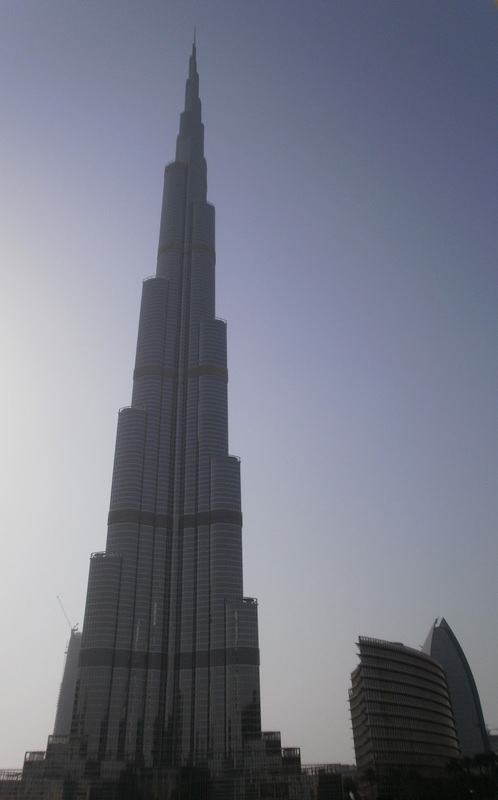 Along came the construction of some of the tallest skyscrapers in the world such as – the Burj Dubai (renamed Burj Khalifa later for a reason), Palm Islands, Emirates Towers and the Burj Al Arab hotel. However, the global financial crisis that was to follow laid bare the fact that some of tall buildings downtown were built (or about to be built) on a mountain of debt covered by a cone of opacity. A global credit squeeze hit debt laden Dubai where it hurt – its brash, inflated property market. The Oilholic distinctly remembers a wire flash from December 2008 when Mohammed al-Abbar, CEO of Emaar, told the world’s scribes that his company held US$350 billion in real estate assets and US$70 billion in credits. Concurrently, industry peer Nakheel declared US$16 billion in debts. As speculators ditched the Dubai real estate market, property values tumbled, construction stalled and unemployment spiked. Inevitably, both Nakheel and Emaar were left with a pile of defunct assets, angry investors, homeowners defaulting and many dodging service charges. One contact recollects an instance where a fresh development lost 63% of its marked pre-crisis value. While Emaar was holding firm, Nakheel owned by Dubai World was imploding. Absence of organic growth and the end of a debt fuelled boom had Dubai staring into the abyss. With the credit rating of the entire UAE being threatened, a miffed white knight came along on December 14, 2009 in the shape of Abu Dhabi. The oil rich emirate had decided to bailout its beleaguered neighbour on the day to the tune of US$10 billion. However, a most polite spokesperson on the Abu Dhabi side says it took remedial action needed at the time in good faith and to this day the UAE central bank is firmly committed to domestic banking institutions exposed to the real estate crisis of 2009, bringing about institutional reforms and learning from it. Yet, transparency never comes easy for Dubai even after facing a financial storm it never envisaged. In March this year, Richard Fox, head of Middle East and Africa sovereigns’ ratings at Fitch, summed it up best while speaking in London. “Ratings agencies have no plans to give Dubai a credit rating because its government has not asked to be rated, and the lack of transparency would make a credit assessment difficult,” he said. Three years later both Nakheel and Emaar are thought to be in a much happier place according to local media outlets. This is particularly true of Emaar which builds its domestic projects on land that is provided free in the main and uses migrant labour on little more than US$8 to US$10 a day based on anecdotal evidence and the Oilholic’s own findings! Despite recent attempts by the government to rectify the manner in which Dubai’s property market is hitherto disconnected from conventional market ground rules, not much has changed. One thing is certain, Dubai will never be disconnected from its ‘benevolent’ oil rich neighbour Abu Dhabi. Some complain that Abu Dhabi’s crude help must have come with strings attached; something which was strenuously denied by both sides in 2009. The Oilholic thinks strings weren’t attached; Abu Dhabi quite simply now holds most of the strings! So it was fitting that on January 4, 2010, when Emaar inaugurated the world tallest building (pictured right) – its name was promptly changed from Burj Dubai to Burj Khalifa in honour of Sheikh Khalifa bin Zayed bin Sultan Al Nahyan, the Emir of Abu Dhabi. For oil producing nations, the challenge has always been to establish a viable non-oil sector which counters the impact of a resource driven windfall on other facets of the economy. Dubai had every chance, not to mention a more pressing need than its neighbour to do this and messed it up spectacularly. Au contraire, Abu Dhabi has managed the challenge rather well as it seems. For an Emirate which holds 9% of global proven oil reserves and 95% of that of the UAE, Sheikh Khalifa’s Abu Dhabi sees around 44% of its revenues come in from non-oil sources. Abu Dhabi Investment Authority, the Emirate’s sovereign wealth fund rumoured to have nearly U$900 billion in managed assets, leads the way. Ratings agencies may grumble about Dubai’s opacity but all three major ones do rate Abu Dhabi. Fitch and Standard & Poor's rate Abu Dhabi 'AA' while Moody's rates it 'Aa2'. Sheikh Khalifa is actively looking to increase the share of non-oil revenue in Abu Dhabi to 60% within this decade if not sooner. So maybe the several streets signs in Dubai pointing to the route to Abu Dhabi and the imposing Burj Khalifa (a structure that’s hard to miss from practically most parts of Dubai) have a metaphorical message. And probably there is envy and gratitude in equal measure. Cosmopolitan Dubai is now increasing reliant on black gold dust from Abu Dhabi. That’s all for the moment folks; more from Dubai later! Keep reading, keep it ‘crude’! © Gaurav Sharma 2012. Photo 1: A street sign on the Dubai Marina, UAE. Photo 2: Burj Khalifa, Dubai, UAE © Gaurav Sharma 2012.